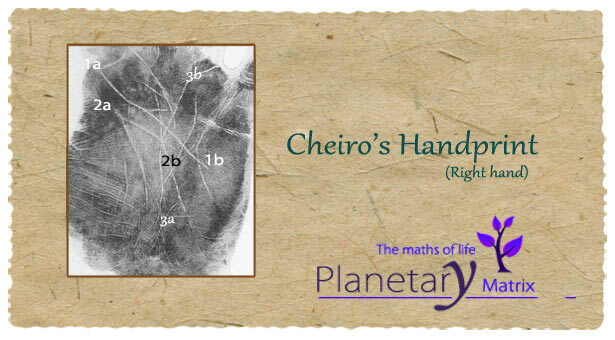 What are the most remarkable characteristics in Cheiro's hand? - and the very unusual starting point of the upper head line: in the upper zone below the index finger. And I think that both might be related to his rather remarkable excentric personality. ...What would you describe as remarkable features in Cheiro's hands? PS. Last year I wrote an article about the line of life and Cheiro's life line theory - including: two unique researches + an analysis of Cheiro's life line. 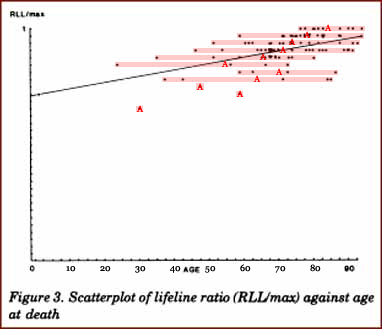 Cheiro's Theory about the Life Line & 'Longevity'! 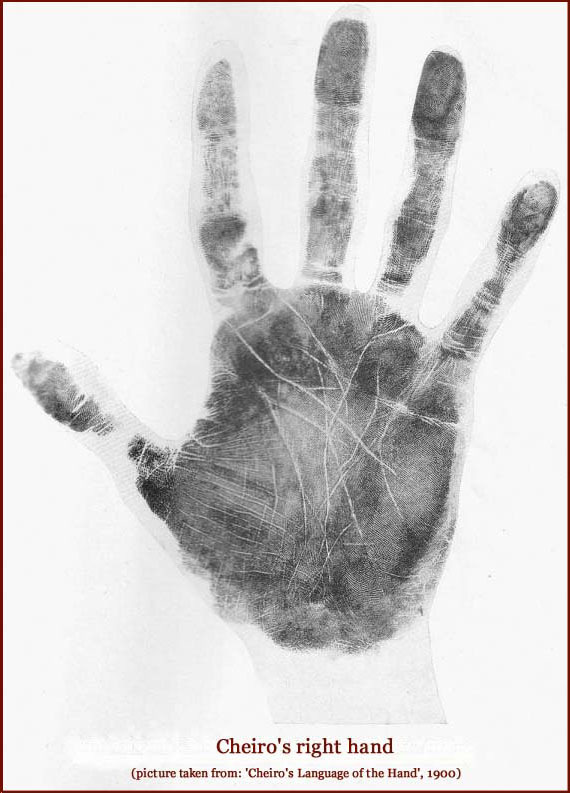 Let us understand the same under the light of nadi sastra and Palmistry. Head line is actually “Matru-rekha” or “Matra-rekha” or “Dhan-rekha” in Indian Palmistry. Moon rules this line as it always ends near the mount of Moon. It marks a journey from base instincts of Mars (like anger, frustration or animal instincts) to better instincts of Moon (emotionality, sensitivity, compassion etc.). There are actually two lines that originate from Mars. The other one is life line which is known as “Pitra rekha” or “Shukra-rekha” in Indian Palmistry. It shows the journey of man from baser and animal instincts of Mars to generosity and affection related to Venus. I am not talking about any planets mentioned in modern day palmistry. We do not have negative planets in hand in Indian Palmistry. We just have marks which indicate the presence of negativity in a planet’s output. Any line can end at a different field but that is an exception and not a general rule. What Mr.Cheiro is talking about, in the above mentioned phrase is marked in the picture. He is talking about lines 1a to 1b and 2a to 2b. His idea about the double line of head is little bit faulty. According to astrology every indication in the horoscope is present in the lines of hand. As Moon indicates the mental faculties, it also represents the planet Moon in the horoscope. There cannot be two Moons in a single horoscope so it is very evident that there is only one Moon line or head line or “Matru Rekha” representing the aforesaid planet. Please note that I may sound very idiotic but I request you to read the full article to comprehend what I am explaining over here. incorrect Sanskrit syllables) through this. Anyways, I mentioned this story because of a very good reason which will be clear in the coming paragraphs. This combination which is present in the hands of Cheiro is a combination of influence of some pitri or some powerful spirit on the human psyche. As the line of Moon represents mother, most of the time the person is possessed by some ancestors coming from maternal side or the spirit of some lady. It actually represents some dead entity which rules the mind of a person. That spirit or power may or may not reveal the future depending on its power. In western countries spirits use mediums to speak or express themselves. But in India, there is a very different notion about this subject. Possessions of any form are considered problematic for the native. In Delhi and in South many communities are in habit of seeking such individuals who are possessed. They call them Devi or Devta and possessions are named as Chauki. The fact is there is no Devi or goddess who possesses a human body. These possessions belong to inferior spirits who have inflated egos and untimely deaths. People who seek help from these so called Devi, Devtas ruin their spiritual life. A person who seeks help from a spirit has to suffer from “Preta-yoni” as he has to return the obligation to the spirit. Such devi devta (mediums) live very wretched life and eventually die in pitiable conditions. Their horoscopes indicate severe mental aberrations and their bodies get impure because of possessions. Please note that once your body gets impure due to possession, you have to clean it properly through remedies so that your body should not become a gateway for other spirits. In the case of Cheiro, a powerful yoga of Moon and Rahu is there in the hand. His debilitated Mars represents the line 2a to 2b. This line can also travel towards mount of Saturn or Sun in some hands. This is not the line of Moon. Line of Moon always ends at Mount Luna. Not only this, his Moon rules Magha constellation in the horoscope. Magha is ruled by ancestors only. His mount of Moon is very prominent in the hand and mount of Moon gives you very strong imagination. Please note that imagination is a secret but dangerous ingredient for intuition. I have also seen that a person possessing an exalted Venus with Sun in Karkamsha (D-9) always possess some kind of supernatural power to analyse truth. In fact, this combination of Sun in Pisces and Venus exalted is a beautiful combination if Pisces happens to be your Karkamsha. This makes you famous and followed by Royal and mighty. This “Udharva Rekha” or the line of destiny which reaches the base of finger of Apollo or Sun makes a person rich and a trader. He becomes a master of his own field. There is another line from lower part of mount luna ascending towards Saturn but is curdled half way. It forms the cross below the finger of Saturn. This shows his other pursuits towards “Kimiyagiri” or Gold making and writing for Hollywood. His cross indicates his love for mysteries. I read the whole article. Its interesting. His idea about the double line of head is little bit faulty. According to astrology every indication in the horoscope is present in the lines of hand. As Moon indicates the mental faculties, it also represents the planet Moon in the horoscope. There cannot be two Moons in a single horoscope so it is very evident that there is only one Moon line or head line or “Matru Rekha” representing the aforesaid planet. The mount still remains one, though the connecting lines are two. Why are you associating 2 Matru Rekhas with 2 mounts and it can't be another head line or matru line? B.t.w. Is MATRU REKHA = DHANA REKHA? As I understand DHANA REKHA = DESTINY LINE in Indian palmistry. Which books do you refer for Indian palmistry? In one of the palms Cheiro has commented upon a lady having three head lines which is even more unique. From memory I recall that not all of them ended on Mount of Moon, at least not the top most one. So how do you associate that with Mount of Moon? We may fault someone as Great as Cheiro but where is the other logical explanation? A little confusing though let me try to help you. I was actually working on two head lines. The theory is that any line which ends on a certain mount is named after the mount. As such there can be only one line which should be called a Matru rekha. Any other rekha connecting to this mount can be because of association of planets in the horoscope. At the same time the new line is a mix and cannot be called a matru rekha. Dhana rekha is Matru rekha. Moon is associated to Laxmi in Indian astrology and in Granthas like Hasta Sanjeevan Dhan rekha is mentioned as a another name for Matru rekha. Hello Praveen Ji, Nice question. In the article I have mentioned about the line of Saturn or Shani rekha ending in Mount of Sun. This rekha though called Shani rekha, cannot be referred as a pure Saturn line as it mingles with Sun. The association is visible in the horoscope as Saturn and Sun are together. If there is not line ending on the mount of Moon than definitely the horoscope will show a very weak or neglibile Shadbala of Moon. Moon may also be in MrityooBhaga at the same time. My main intuition was related to Moon rahu influence in Cheiro's hand. 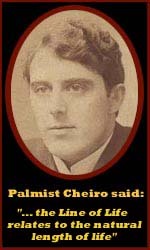 I admire the great palmist, but as you told me logics should be defined. I believe that every Palmist should read astrology which will only help him/her out.